The conflicts that culminated in the First and Second World Wars had their origins in the rise of imperial powers in North America, Europe, and Asia in the late nineteenth century and the imperialist quests for the resources of colonies and former colonies. American expansionists, encouraged by a growing US Navy, nurtured US policies with illusions of easy access to South America. Policy makers in the fledgling empires of Germany, Japan, Spain, and Italy relied on clandestine means to rival US ambitions. Using new sources from previously unused collections in Germany and Spain, Friedrich E. Schuler details these countries’ attempts to suborn ethnic groups within Latin America and also the US to establish ethnic “beachheads” that would serve to undermine US interests. 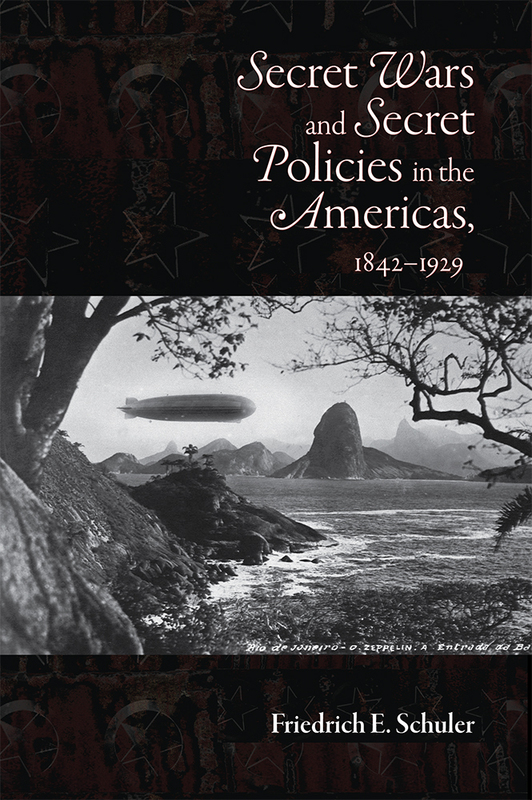 The intrigue and subterfuge revealed in this study add a new dimension to understandings of transpacific and transatlantic politics following World War I.
Friedrich E. Schuler is a professor of history at Portland State University. He is also the author of Mexico Between Hitler and Roosevelt: Mexican Foreign Relations in the Age of Lázaro Cárdenas, 1934–1940 (UNM Press). Friedrich E. Schuler is professor of history at Portland State University.